I am sure that all of you know this already, but speaking as a parent, I know how useful it is sometimes to be reminded (particularly if you’re on the second or third child and haven’t re-read all the books you so diligently absorbed the first time!). For many children, being 3-4 is a tricky time - transitions from activity to activity and place to place can be fast and bewildering, and so often the grown-ups don’t explain ‘properly’ or give an emerging intellect time to absorb and handle the implications of what is happening. These are the reasons why the children are sometimes nervous, tricky, & refuse to participate in things you know they really want to do. Because added to that, this class is without you, their grown up that they depend on love and trust to get them through everything no matter what - you’ve just said good bye at the door and they have to handle it themselves! This is big stuff for a little person! What we do as teachers is to give them a routine/framework that they can learn, thus allowing them to predict what will happen next, give them ‘rules’ for following that routine, which in effect gives each child control over themselves and their participation. This is the biggest thing we can do for them, as control is what is most often sought at this tender age - if they can predict the start of the class (register and news swapping), understand what is happening during the class and what is expected of them (neat feet when the music stops, no talking when the music is playing, etc), and then be helped to cool down and prepare the transition into leaving (curtsey and bow), then they are relaxed, happy, in control and thus confident in being by themselves - the studio has become their space and not yours. Things are upsetting when a few specific things go wrong. If you are late arriving, for example. A couple of minutes is probably OK, but even then, they may have missed the register circle and that first chance to bond with the group, so they will be walking into what is a big empty room for a 3 year old, and crossing the floor to the teacher who might be at the other side of it - and that’s massively scary, as all the other children will be staring at them, and some of us are just not that brave! Linked to late arrival is if the door opens and closes constantly or someone is very upset at the door, then that can make an otherwise happy child suddenly very unsettled - we are teaching these children to care about each other, learn from each other and look after each other. Finally, not being there part-way through class if they come out to go to the loo is also upsetting for them, as they don’t expect you to have gone away! There’s always someone in the studio to help with practicalities, this is just their point of view that I’m describing. This isn’t an exhaustive list, and of course the majority of children can’t wait to get shot of their parents at the door! It takes time to achieve a happy level of confidence, and every child is different - some won’t get there until they are age 5 and some will have it at age 3 - but we have room for every kind of individual in our classes here. If any of you have any specific questions relating to your own child, then please phone and speak to me or to your teacher or send me an email. Starting pointework is a very exciting moment in a young dancer’s life. Almost any well-trained dancer can take to pointework, discovering the highs and the lows that this very particular part of a dancer’s skillset offers. For everyone, no matter physique or commitment, pointework is hard work. In order to balance successfully on about 1½ square inch of glued canvas, and make it look easy, all the leg and foot bones & muscles need to be active and aligned, the body core muscles need to be well-balanced and held correctly and yet the head and arms must be relaxed and able to flow - because it is the arms and expression that makes it look easy! This started way back in Pre-Primary, with feet and leg exercises, learning how to stretch the toes and feet in line with the knee and hip, learning how to articulate the toes and control the knees using the thigh muscles. It continued through the grades as the foot gained strength using resistance exercise such as glisses and tendus. The preparation continued with the learning how to execute good releves and controlling the landing from jumps, getting good at feeling all parts of the foot, keeping the knees in line to demonstrate good turnout. As the middle grades came along, learning to do a developpe in the centre, holding the back, sides and stomach indicates very clearly how much the upper body in involved in maintaining balance and poise. So that’s all in the background. As the feet & body develop, your teacher will indicate to you when is the right time to consider working in ‘soft-pointes’. These are shoes made similarly to pointe shoes, but without the strong sole (known as the ‘back’). These shoes have a box and need to be worked in and on until they become properly broken in and fitting the foot well. They introduce the dancer to the feeling of pointe shoes, and strengthen the foot further, as the soles and box do make it harder to show a well-pointed foot. This also teaches the student how important the lifting of the instep and lengthening of the ankle is to create the right line and develop even strength down both sides of the leg and foot. A dancer should spend at least 6 months in soft pointe shoes before moving to full-pointe, and in that time, rises and releves will become very important and very regular. Everyone who takes up pointework will get sore feet & legs from time to time. Hopefully mostly it is a positive soreness – that great feeling when your body has worked hard and achieved something. However, there will also come the irritating sorenesses, such as blisters and pinched skin. Your teacher will discuss various ways of minimizing these as they are almost always caused by overuse. Once ‘en pointe’ it is essential to continue with good foot care and sensible use of relaxation exercises as much as strengthening exercises! For example, keeping toe nails short and cut straight across with a little attention to the corners of the nail if they dig in a little (varies from foot to foot), tending to sore patches and blisters sensibly and immediately. Bathing feet in warm water that has a capful of surgical spirit in it will help toughen the skin and resist blisters or sore areas. It will also help keep them clean and whilst it may sting, it will also help with the healing process when a blister or sore patch arrives. And talk to your teacher. Keep them in the loop on how you’re feeling or coping and they will support you, using their own experience to understand what is normal and what might need some additional treatment or adjustment. Your teacher will advise you when you are ready to go 'en pointe’. It will mean a trip to a specialist dance shop, where you book an appointment and are fitted by a properly trained pointe shoe fitter, who has access to many types and makes of shoe, and will make sure they find the right shoe for your feet. Ideally your teacher will be able to come with you, but if not, then you will show your teacher before sewing any ribbons on, as your teacher has the final say and knows you best! Ask lots of questions before you go to buy shoes, and ask even more questions when you are in the shop. They should be happy to help you try on as many pairs of shoes as is necessary to find the perfect pair. They should also ask you lots of questions, to understand how you work (they may already know your teacher), how the shoes feel on your foot, what the box feels like around your foot and so on. Pointe shoes are a tool – as well as an instrument of torture and item of reverence! So as with any tool, it is best to understand how it is made, and how to use it best when setting out. Your teacher should explain all the various parts of the shoe (this will be repeated at your fitting) so that you can understand where the support from the shoe should be to facilitate your particular physique. Pointe shoes are made in a variety of different ways, and modern technology has in some ways changed their manufacture considerably and in others not at all (ie most of the finishing is all handmade even now). The main things in a pointe shoe to consider are the shape of the box (short, long, slim, rounder, square, broad, narrow etc), the length of the vamp (the extension of the box up the side of the foot) versus the length of your toes and the shape of your metatarsal, the length and relative stiffness of the ‘back’ (sole of the shoe). In simple terms, everything you do well in flats will be OK ‘en pointe’, but every fault you have in your posture and balance will be ten times worse ‘en pointe’! This is why your teacher will take time to prepare you with preparation exercises before you start pointe work, so that you can identify the particular adjustments you need to make and muscles you need to use to have a successful transition from the demi to the full pointe. So please take it slowly and listen carefully to your teacher! 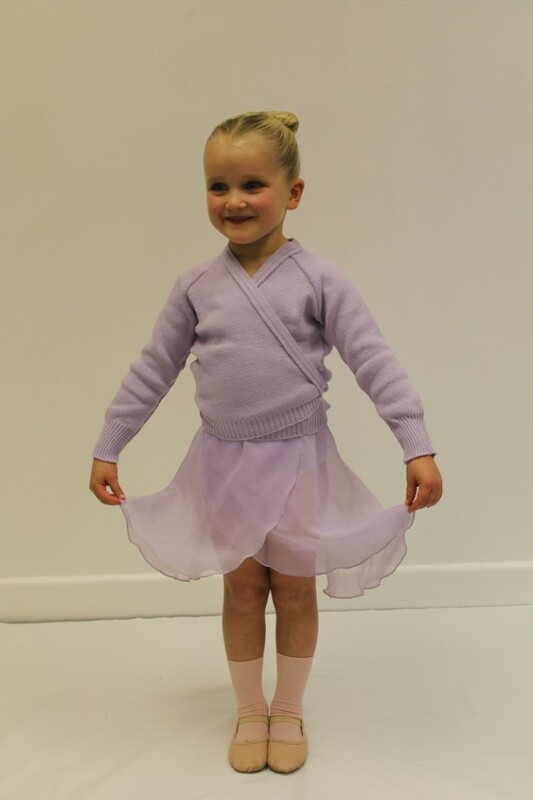 For Parents with children about to enter the RAD Grade 1 or higher Ballet class. Grade 1 can be considered quite a rite of passage, as it is the first of 8 grades they can work though, which depending on their interest as time passes, will keep them dancing and progressing right up until they start college! In all the RAD grades, the methodology is sound, safe and continuously challenging. It is not an absolute requirement to take each exam before progressing to the next grade, but it is recommended, as preparing for an exam is part of preparing for entering the next level, in terms of strength, coordination, technical consistency and presentation. As an RAD teacher, I will introduce the developmental exercises each week and explain how we are building these up, before hoping them to prepare a series of set exercises and dances for examination. The syllabus is founded and centred on classical ballet technique. However, it also introduces some contemporary concepts, which are becoming ever more normal and relevant for today’s professional dancers and choreography. An example of this is the ability to dance in both turned in and turned out positions, switching between the two regularly and quickly within the same series of steps. It also encompasses a breadth of movement and imaginative approach to new movement which is less ’set’ than the standard classical steps. In addition to this, the students are introduced to 'Character Dance’. These steps are based on European folk steps and styles of dance, and can be found in the ‘divertissement’ acts in the traditional ballet such as Sleeping Beauty, Nutcracker and Swan Lake. The RAD have kept these steps in the syllabus, as it’s part of the ballet education as long as the ballets are found in company repertoire. These dances are also fun, full of personality and provide an opportunity for personalities to shine out and demonstrate a bit of fancy footwork! So what does all this mean for your little dancer, about to step into the studio? Firstly, girls will need to start to learn how to put their hair into a bun. Turning becomes more and more important from Grade 1, and they need to be able to spot with their eyes, not have anything flicking into their faces or those of others around them. If your daughter has very flyaway hair, then you should consider a hairband or clips to help keep these away from her eyes. Also, boys with longer hair or long fringes must also tie their hair back with clips or an elastic. Secondly, the children will all need character shoes. For girls this is a heeled 'mary-jane' style shoe in black canvas with pink elastic. For boys, this is a heeled ‘Oxford’ style lace up in black canvas. I suggest swapping the black laces for black elastic, so that they can slip in and out of them quickly while they are learning to tie their laces. The girls will also need a black character skirt, although if you’re staging the costs, the shoes should come first! Third, there’s a change in uniform, for both boys and girls. For boys, they move into white leotard and navy leggings, keeping their white socks and shoes, and for girls, they change to a short-sleeved leotard with belt in lavender, again, keeping their pink socks and shoes. (Tights may be worn by girls from grade 3). Finally, they may appreciate a ballet notebook and pencil, so they can write down their class feedback, the proper name of a step, or anything else that will improve their knowledge or help them remember things! From Grade 2 and above, they may wish to attend twice a week. By this stage, they know they really like ballet, perhaps better than any other hobby, and even if not, they like progressing at a grade per year. From Grade 2, it’s not possible to progress at this rate without coming twice a week. If your child only wants to come once a week, that’s totally OK with us, but you and they should understand that each grade takes about 5-6 terms, so it will take a little longer to get to Grade 3 and so on. This does suit many children - after all, it’s not a competition! Any child is welcome to come to more than 1 ballet class a week, whatever their grade, and in all cases, this will have the result of faster improvement of course. I hope you have found this information helpful, but if you have any questions at all, please do not hesitate to ask me or your regular ballet teacher. Getting the Best out of your Dance Class – and your Teacher! It sometimes strikes me as a teacher that there isn’t really enough time to share everything I want to every week with every student! And I am absolutely sure that a lot of students feel too that they want to do more, ask more, practise more. I also feel sometimes that there are those students who would like to get more out of their lessons, or progress faster, but they don’t know how or what to ask or do about it. So I’ve had a good think and talked to my colleagues about this a bit, and hopefully these ideas that follow will be useful, all or in part, to both students and parents of all ages and dance genres. Get a good night’s sleep and arrive in class really ready to go for it! It seems obvious, but having enough energy (both mental and physical) for a physical activity is really important. While dance is not a sport, some of the same ideas apply. Students will expend both mental and physical energy in their dance classes, so in order to be able to be alert, enthusiastic and responsive, they will need to have stocked up on food, drink and sleep, so they’re like mini-racehorses hopping at the gate. This applies no matter the age of the student. Don’t stand next to your friend if you will chat! Dance class is definitely a friendly and social learning environment, but it’s not really a play date! Be curious. You will learn all sorts of steps, skills, styles, moods, exrecises and dances in your classes. Some things you will feel fit you like a glove and you can't get enough of it, whilst other things you find hard or don't like so much. Learn as much detail as you can about what you are learning - the names of the steps, how they fit together, what they look like on different people - whether it is something you like or something you don't - this way you will get caught up in your dance and you will deliver it better - as well as being able to apply that technique to the next level. Learn to take feedback as 'useful information'. Many dancers can be hyper-self-critical, and many young people can find it very difficult to understand and receive feedback. 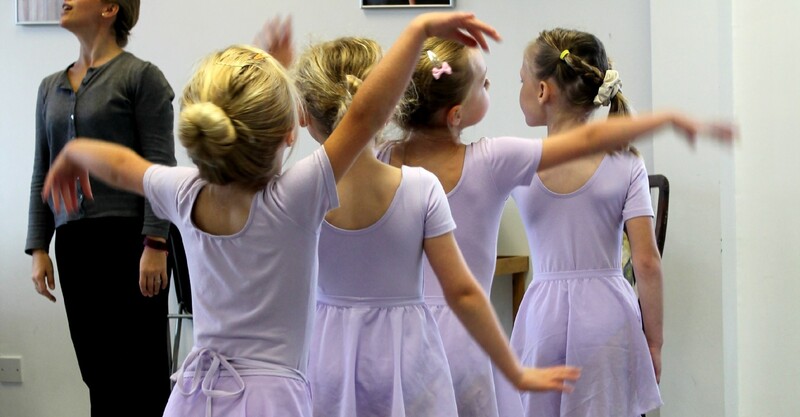 At Colours of Dance, we work with all ages and types of students, and we try very hard to find myriad ways to give feedback in a supportive, open, constructive and positive way, to benefit the student so that they can learn and take control of their own learning. Students can really assist in this by listening hard, receiving feedback as interest and commitment from their teacher and not criticism, and when they don't understand something, buy asking questions or asking their teacher to repeat the information.